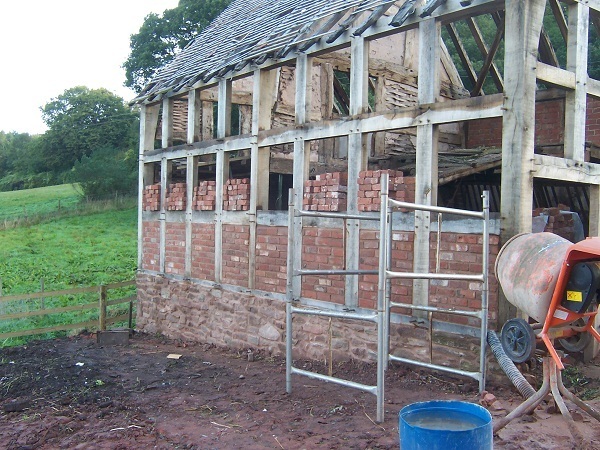 Robert and Catherine were recovering from a bruising unsuccessful encounter with another timber frame company when they contacted Castle Ring Oak Frame on a recommendation. They were part way through a sensitive restoration/remodelling of their old stone farmhouse, had a builder on board who had already prepared the masonry walls and the slab, and some clear ideas of the kind of oak frame they wanted to finish the project. It couldn’t be that complicated job could it? Catherine had her heart set on incorporating a “crog loft” with a dormer into the design, accessed by a tiny staircase, which could be used as a bolt hole office – or maybe somewhere to hide away from Robert! After a site visit and survey, frame drawings were initiated and approved, and the oak ordered. 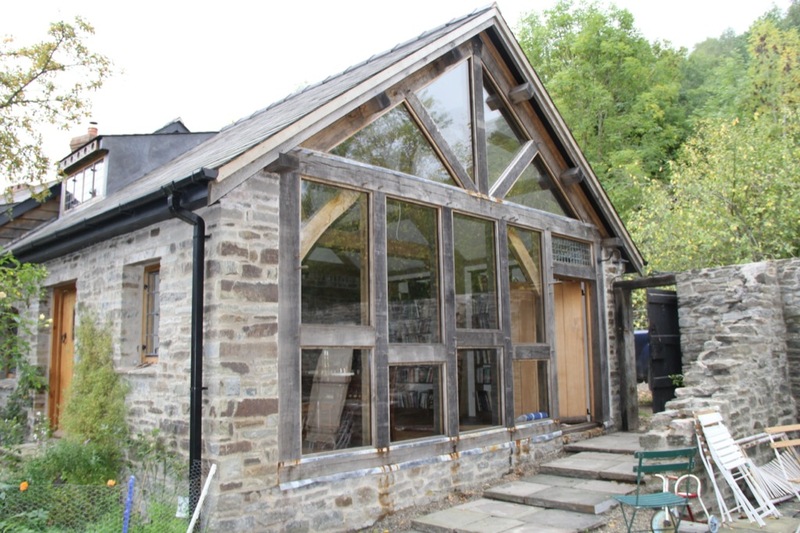 Air dried oak was used for the gable frame to minimise shrinkage and to avoid weather ingress. Four weeks after the initial consultation the frame was erected without a hitch and Robert and Catherine’s builder was able to complete the glazing, roof and internal fit out. It’s a beautiful space full of interesting and delightful personal touches.